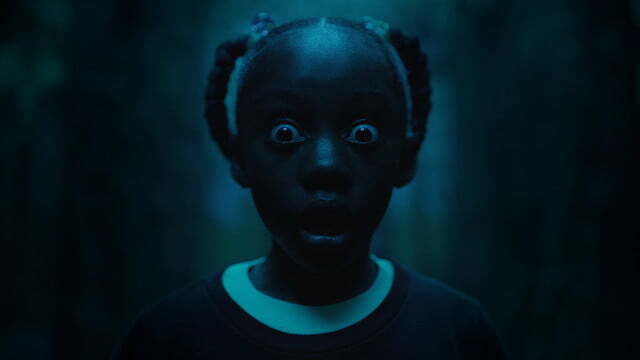 Jordan Peele’s 2017 thriller Get Out turned one half of sketch comedy duo Key & Peele into one of Hollywood’s hottest filmmakers, earning the first-time director an Academy Award and prompting the inevitable question of how anyone could follow up on a success on that level. 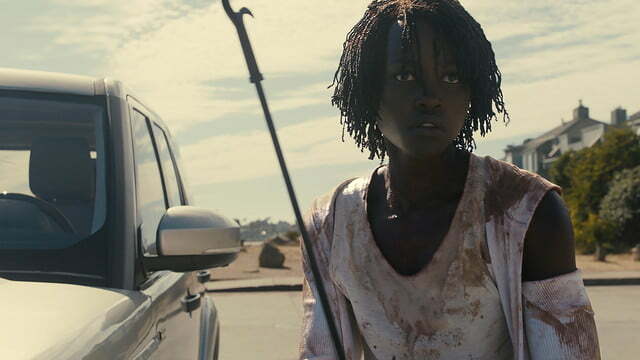 So it’s with no small amount of anticipation — and high expectations — that Peele’s latest film, simply titled Us, arrives in theaters. Although it doesn’t pack the psychological punch that Get Out did, Us confirms that Peele’s phenomenally successful debut was no fluke — and that the praise he’s been given is indeed well deserved. 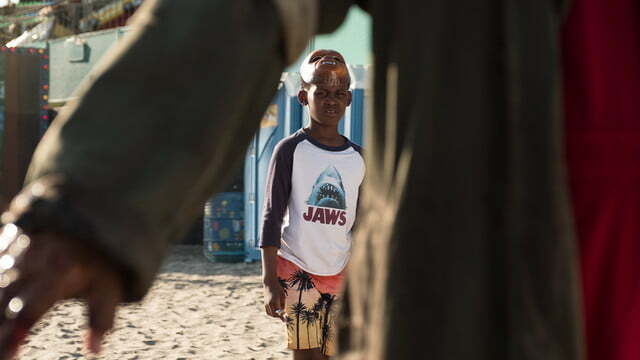 Written, produced, and directed by Peele, Us follows a family whose beach vacation is interrupted one night by a vicious group of home invaders. The terror of the encounter is amplified by the discovery that the assailants are twisted versions of each member of the family — and they’re forced to fend off their murderous counterparts if they have any hope of surviving the night. 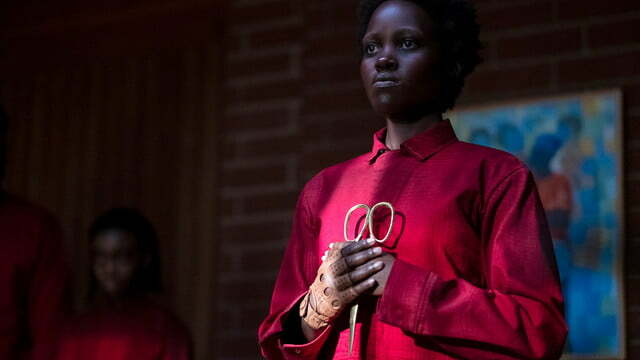 Get Out initially showed Peele’s talent at not only casting the right actors, but drawing performances out of them that are full of surprises. 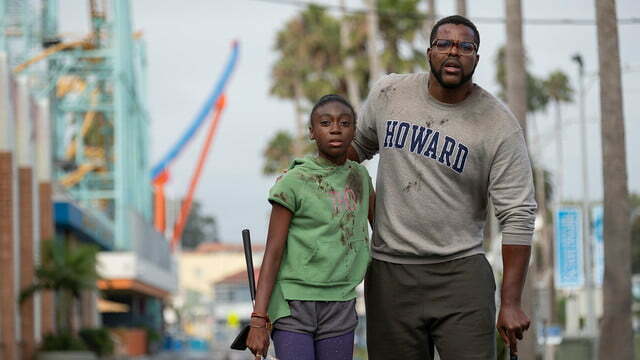 His skill at assembling and utilizing a talented cast shines again in Us, which reunites Black Panther actors Lupita Nyong’o and Winston Duke as Adelaide and Gabe Wilson, a married couple on vacation with their son Jason and daughter Zora, played by Evan Alex and Shahadi Wright Joseph, respectively. 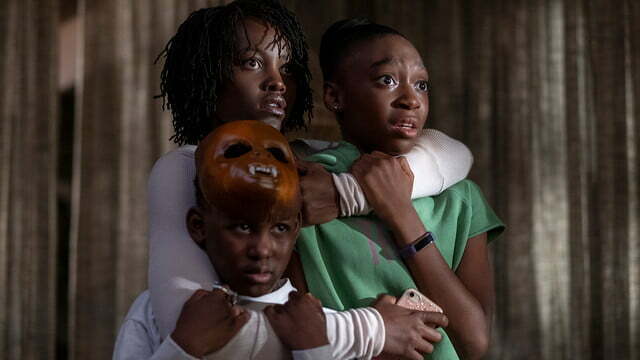 All four of the primary cast members bring an impressive level of depth to characters that could have easily slipped into typically forgettable victim roles, pausing when they should be running, or screaming when they should be hiding. They’re a smart bunch, even when they make head-shakingly bad decisions that put them in peril, and their chemistry as a family unit goes a long way toward creating an emotional investment in their fates. Portraying both the victim and the villain in a story is a tall order for any actor, but the cast of Us makes it look effortless. The performances of the four leads as the Winston family members are impressive on their own, but Us reaches even higher by having the four actors also play their psychopathic duplicates. Portraying both the victim and the villain in a story is a tall order for any actor, but the cast of Us makes it look effortless, adding depth to both roles where appropriate and selling the audience on both the terrorized family’s strength of will and their mirror images’ remorseless, unpredictable deadly intent. Nyong’o in particular is fascinating to watch, and she goes above and beyond simple good and evil representation by giving each character their own, unique way of walking, talking, and carrying themselves. 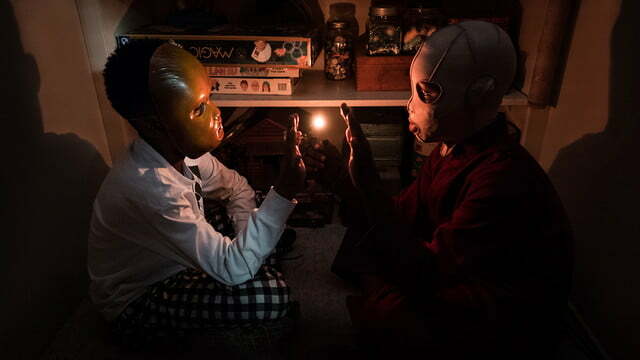 The extra effort that Nyong’o and her castmates put into their two-part performances pays off with some genuinely disturbing juxtapositions of the characters and their twins, who are eerily similar on the surface despite being completely different in every other way. Not everything about Us is a paired set, though — particularly when it comes to the film’s similarities (or lack thereof) with Get Out. 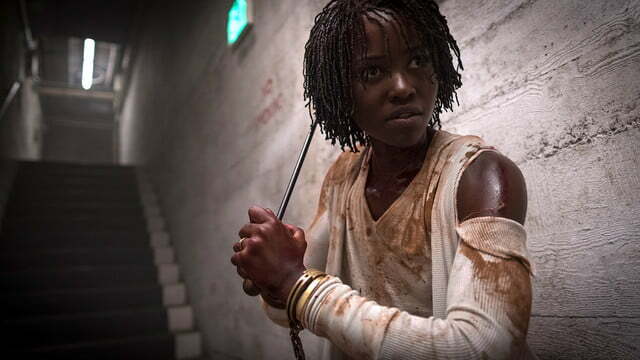 Although Us confirms that Peele’s knack for horror wasn’t a one-trick act, those expecting a film that mines the same fright material as Get Out won’t find much in common with that film. 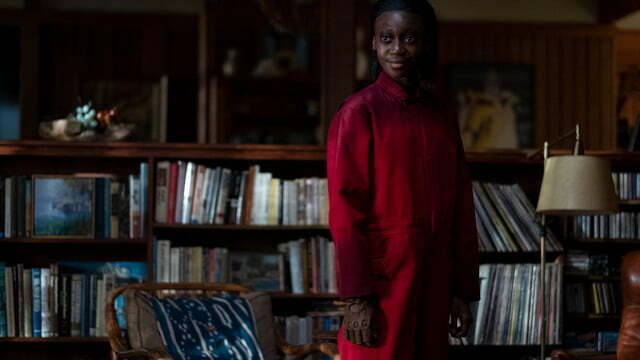 Where Get Out relied heavily on psychological terrors and a creeping sense of dread in a relatively bloodless — right up until its third act, at least — mind-bending scary story, Us is a more straightforward horror film. The eerie mystery of the doppelgangers’ existence is secondary to the blunt terror of their home invasion and pursuit of the Wilson family, and there’s little question about exactly what kind of film Us really is. 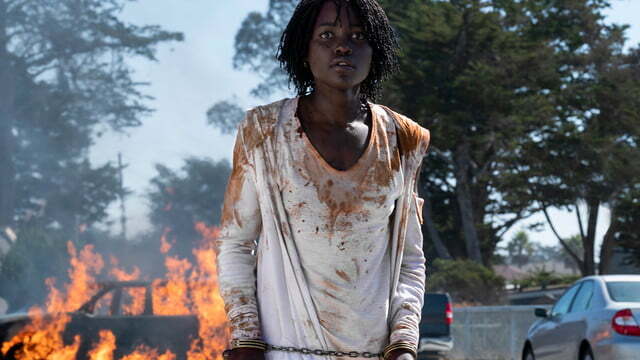 To Peele’s credit as a writer, he does an admirable job of streamlining the narrative to move past the story’s big questions in relatively quick, semi-satisfying ways, but his focus on making the film a more straightforward experience than Get Out could still leave some audiences wanting more answers when it comes to the more complicated plot points he introduces. 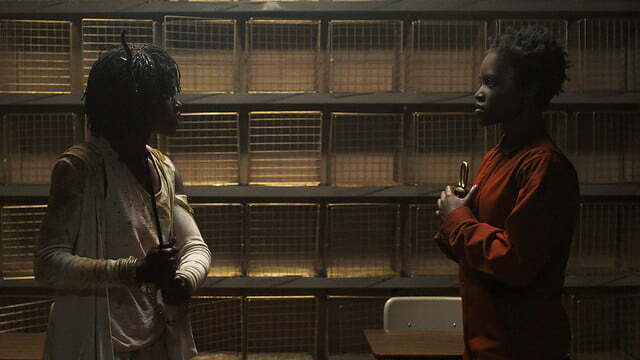 Us is a slasher movie first and foremost, after all, even if it does have some narrative (and socially relevant) layers to unpack for audiences interested in going down that road. 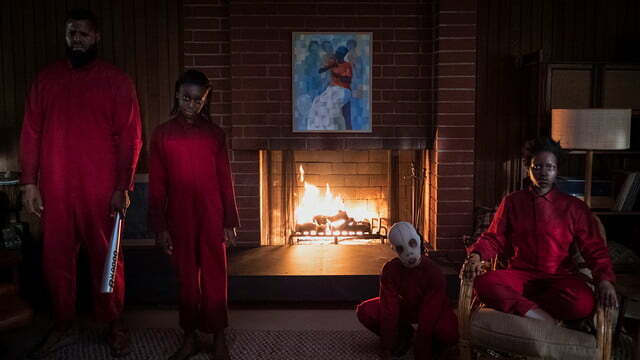 It’s not likely to receive the level of critical acclaim as its predecessor, but Us still manages to carve out an impressive niche for itself in the horror genre. 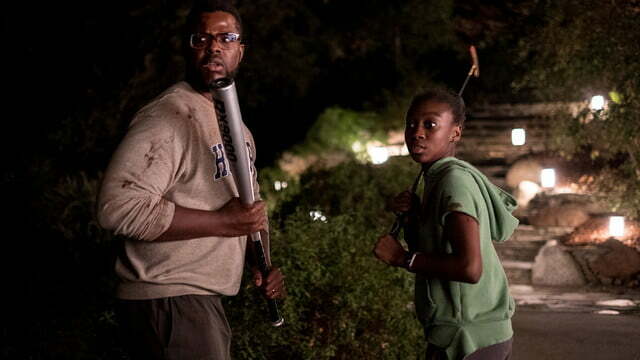 Subversive, scary, and fantastically well acted, Us is the sort of film that can be enjoyed on one level as an entertaining, satisfying slasher film, while also offering something for audiences who want more than just a family being terrorized by a group of psychotic killers. 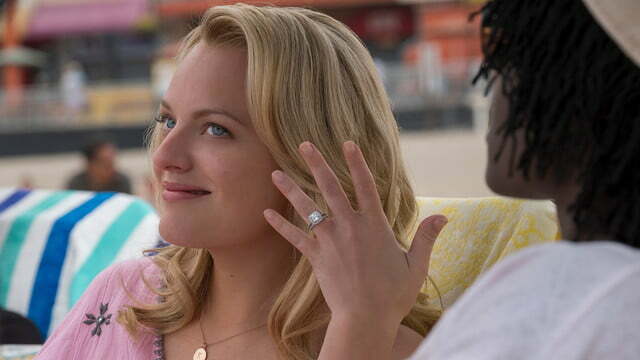 What it occasionally lacks in satisfying answers, it more than makes up for in ambition and cinematic execution, thanks to the film’s talented cast and filmmaker. 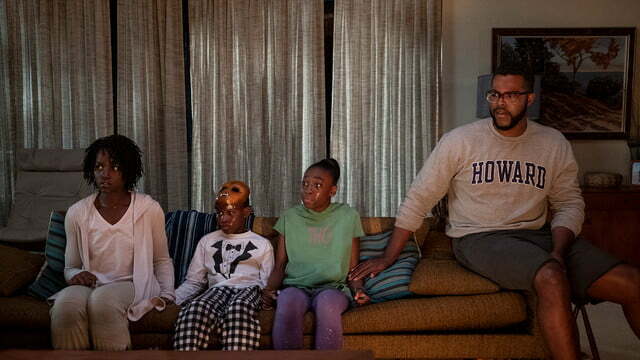 Us probably won’t bring Peele another Academy Award, but if the film’s intent is to be the sort of movie that sticks with you long after the credits roll, and that fuels a nightmare or two, it’s already a winner.